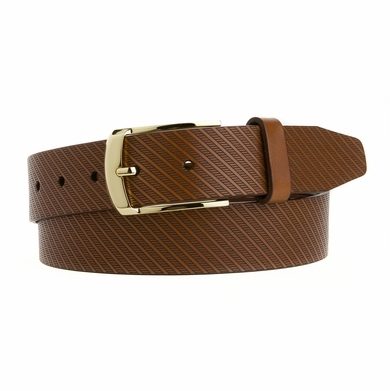 1-1/4" = 32mm Wide italian saddle leather brown belt. It has a very soft textured and comfortable feeling. MADE IN THE USA of luxury imported materials. 5 Holes for easy fit adjustment and a stylish gold plated buckle. Durable dress mens belt with a fashionable and unique style with one loop.